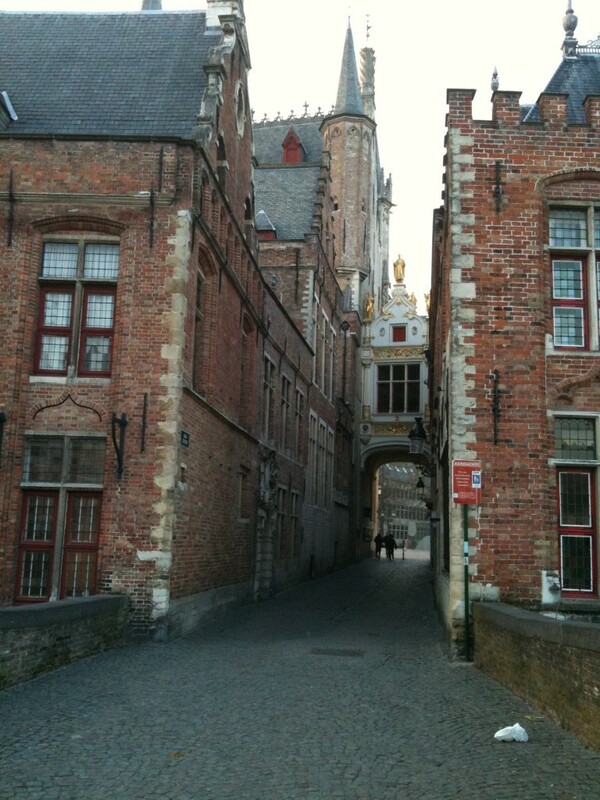 Brugge is a lovely town to walk around. There’s a real sense of history about the place, but at the same time it seems like a living town not a Disneyland display. Ancient houses are home to modern-day shops; the streets are full of obvious locals going about their business; there are even working boats plying the larger canals. We walked a long way through and around the town today. Partly because of the lovely weather; partly because we needed the exercise; and partly because a long walk justified some local food. 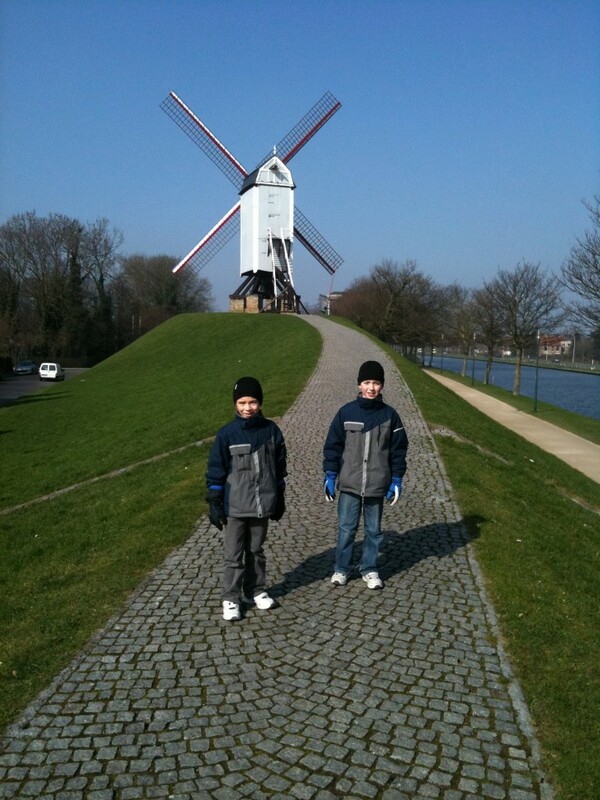 While we had no real destination in mind when we set out, our goal eventually became a visit to the four windmills standing on the canal that runs round the old town of Brugge. These are traditional windmills of the area that are raised up on an enormous stand to allow them to better catch the wind. Sadly they are not working so we didn’t see the sails turning. Our reward for our walking was waffles for the boys and frites with mayonnaise for Jennifer and me. A spot of research reveals that the Belgians are rather miffed at their frites being called French fries by much of the rest of the world. The Belgians claim to have invented the whole sliced, fried potato thing. The French angle, they claim, was only introduced during the First World War when the American soldiers loved the food but were a bit geographically challenged about where they were eating it. The Belgians do take their fries seriously. The country recently gained the world record for the longest period in which a country has failed to form a government after an election. On the day they gained the record, thousands of stalls handed out free frites around Belgium. Either as celebration or political statement, I can appreciate a statement like that.